For the second consecutive year, Operation Inasmuch is shipping 130,000 nutritious meals to Guatemala which will provide good food to many hundreds of orphans in that country. Operation Inasmuch has partnered with Orphans Resources International (PA) to make this food available to some of the most vulnerable people on the planet. Some of the children at these orphanages are shown in this article receiving the food donated by Inasmuch. The food is prepared on site and served warm to the children. Volunteers from Central Baptist of Bearden in Knoxville packing meals. 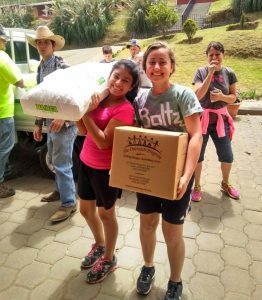 For the third time in four years, Operation Inasmuch has sent thousands of meals to Guatemala… this time to feed orphans in as many as 50 orphanages. 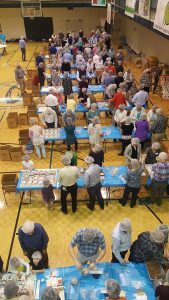 In two food packing events in Knoxville, Tennessee 100,000 meals were prepared by about 450 volunteers. This month these meals were shipped to Guatemala and will be distributed by Orphans Resources to children in 50 orphanages. Visit our Facebook page to view pictures from the events.